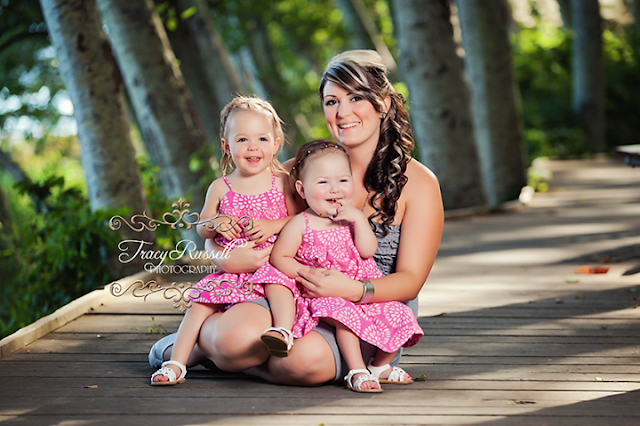 The girls were born and after a quick glance of Hannah and a quick feel of Hailey they were rushed to the NICU. I didn't get to see them for 2 hours after they were born. They were both intubated on room air and seemed to be healthy for their size. After a few more tests we were told that Hannah(Twin A) had; A large, medium and a few small VSD's(holes in her heart) and a PDA(small hole in her heart common in premature baby's). They would need to be closed but she needed to be AT LEAST 6kg/6lbs9oz, 5lbs 1oz away. 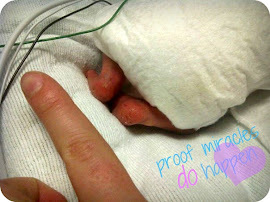 She would grow slower because of the holes and we were told she would have to stay in the hospital longer. They found white matter in Hailey's(Twin B) head ultrasound. The doctor said they would do another scan in 10 days and he had seen it disappear... sadly we didn't. They couldn't tell us what problems white matter could cause later in life. She would need an MRI at 3 months. The term preemie is given to a baby born before 37weeks, babies born before 26weeks or weighing less then 800g/1.12lbs is called a Micro Preemie. Hannah my little micro preemie and Hailey was just big enough to make preemie. These pictures don't even measure how small they really were. 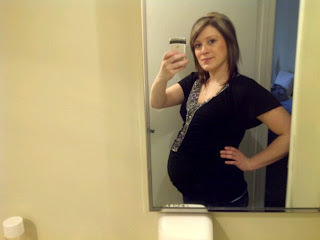 February 10, 2011 was my first ultrasound at week 20 of my pregnancy. 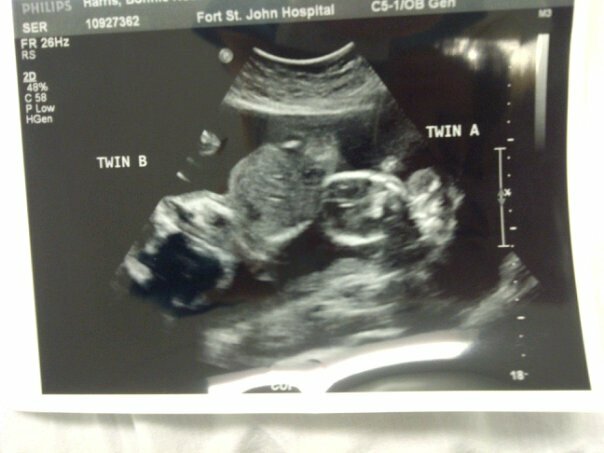 I didn't know It was twins and as soon as I found out I was told that one was smaller and that I would need to go to B.C womens hospital the next Monday. The doctor up north told me I would only be in Vancouver for 1-3 days. After being seen by the specialists I was informed that Twin A(Hannah) measured 2 weeks smaller then Twin B(Hailey) and that they were girls. The girls were Identical sharing one placenta and each had their own sack(Monochorionic Diamniotic). They did not have twin to twin transfusion. Their egg didn't split 50 50 like most twins it split more like 20 80/40 60, but we didn't no for sure. Since I had my first ultrasound at 20 weeks we didn't know if twin A had always been two week behind or if she had just started growing slower. They gave me a few options: Terminate the entire pregnancy, Terminate just twin A, Stay in Vancouver for close monitoring or do nothing. Terminating just twin A had some risks that went with it; I could lose twin B, Twin B could have brain damage from the procedure and that I was at high risk for pre term labour. I am the type of person that doesn't like taking risks. I had chose in my mind to terminate A. There seemed to be less risks and I had a 95% chance of B making it. Their father wanted to keep both of them and change my mind. Probably the only good thing he has ever done. 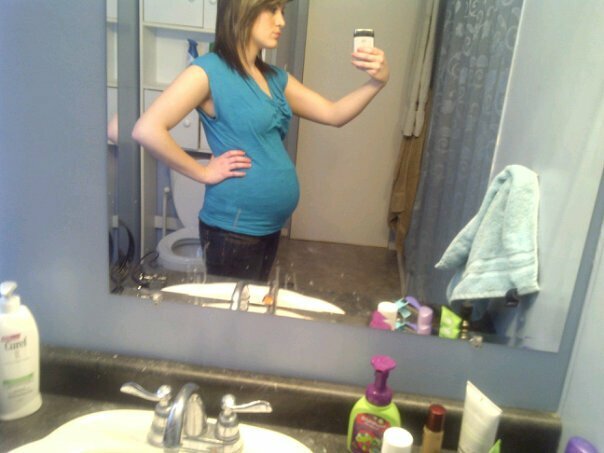 We had until 23week5days to watch the growth on twin A before we were no longer aloud to terminate. We were lucky that Twin A continued to grow 2 weeks behind until 26weeks measuring her to be 24weeks. At 27 weeks I was admitted into B.C women's hospital. They were able to hold off on delivery until 29weeks4days. That gave Twin A a survival rate of 40-90%, and Twin B a 95% chance.